A 94-year-old Lincoln woman will be taking part in the city’s annual 10k road race to raise money for Age UK. 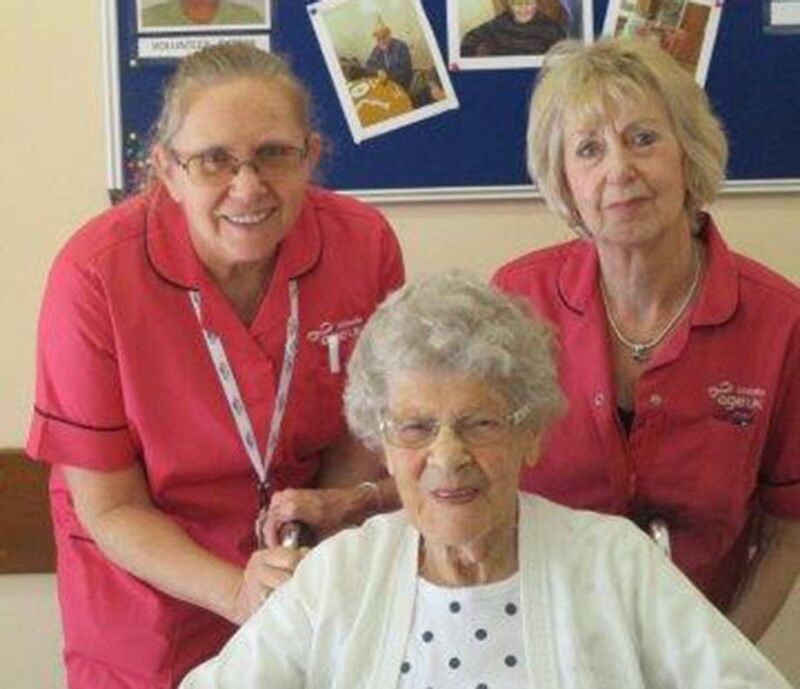 Elsie Illingsworth, 94, will be taking part in the Lincoln 10K on April 2 to raise money on behalf of Age UK Lincoln and Kesteven. Elsie will be raising funds on her Just Giving page for the charity by tackling the 10K event in her wheelchair and will be assisted by five carers from Eccleshar Court Day Centre: Julie Bush, Linda Bunn, Claire Willows, Lara Kelly and Laura Roberts. Elsie has said she is doing the 10k as she ‘loves to get involved’. Elsie has been attending the Eccleshare Court Day Centre for over 10 years and when asked why she wanted to participate in Lincoln’s 10k event, she said: “I love to get involved”. CEO of Age UK Lincoln and Kesteven Michele Seddon said: “We are delighted that Elsie is supporting us in this way, this really epitomises the ethos of Age UK Lincoln & Kesteven, our staff, volunteers and customers alike! “Life is for living no matter how old you are. “It remains to be seen whether Elsie and her team will get a podium place, however, no matter the outcome we are immensely impressed that one of our valued and loyal members is taking on this feat to raise much needed funds for the local independent charity. To sponsor Elsie and donate money towards the charity, visit the Just Giving page.